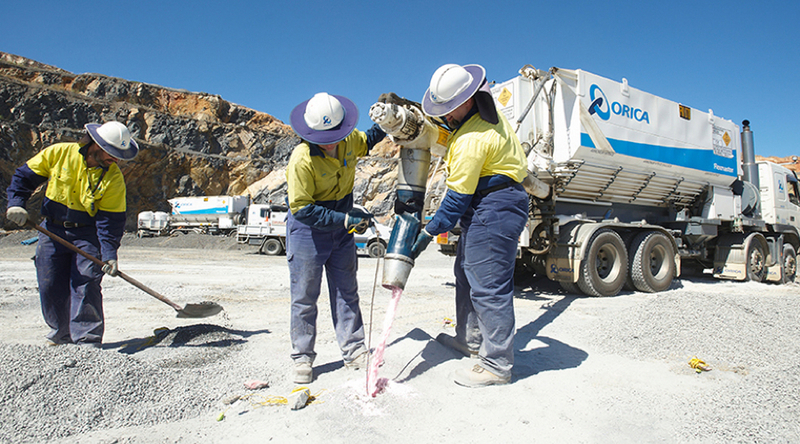 Australian explosives maker Orica (ASX:ORI) said Friday it has completed the restructuring of its Minova group as a stand-alone business unit dedicated to ground control solutions for the mining, civil/tunnelling, geotechnical and construction industries. In the past few years, the business became an ongoing nightmare for Orica as the division failed to deliver an adequate return on capital since it was acquired in 2006. The situation became more difficult in the past two years has Orica began dealing with plunging commodity prices and an oversupplied ammonium nitrate market. “With a new, dedicated global management team, [Minova] will once again do business globally under the well known and highly regarded name and brand, with a newly updated trademark and logo,” Orica said in a statement. Minova has a long history of technological contributions to mining roof support and ventilation control as well as novel chemical and mechanical products used in civil construction and repair. The new Minova will focus on ground support products including resins and mechanical stabilising products, chemical and cementitious grouts and adhesives, and ventilation control.